Back in 1840 when there was nothing much at all in the Adelaide Hills The Three Brothers Arms was imagined. Opened in March 1841 it was named The Goats Head Inn. Built on the higher bank of the Angus river it was blessed with a bountiful water supply and became THE Inn for the weary traveller. 10 years later in 1851 The Three Brothers Arms had its own brewery next door. The local beer won awards in Europe and England and kept the rangers and bushmen well watered for the next 60 years or so. 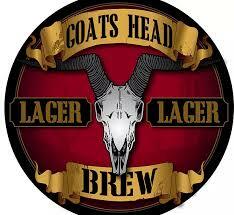 In memory of this the Three Brothers Arms has brewed for them THE GOATS HEAD LAGER , a beer as refreshing as the original Angus river, but a lot more tasty. The Three Brothers Arms prides itself in the fact that it is a NO Pokies establishment. Excellent A-La-Carte food and friendly service are the motto. Music and the arts are the foundation, held up of course by great Beer and many excellent local wines. The Three Brothers Arms is a great live music venue. The Heritage Bar with its original shingled roof and ancient stone work makes for great acoustics. Open fires in the colder months add to the rustic charm. Many a Friday night is filled with the sound of Live original musicians playing a mixture of Roots music. The Marquee out the back overlooking the Angus is also a fantastic site for social events. The Hotel boasts a cool back yard with lawns and Gums lining the Angus. The kitchen is the Keystone of the Three Brothers Arms. Food that is prepared and presented with taste. All breads are made in-house as is the wonderful Pizza base. The Three brothers make a fantastic Pizza all year round. Everything is delivered fresh, prepared with local produce and served with a smile. The Three Brothers Arms has a large selection of wines in its own cellar. Wines from many of the local winerys are on pour and ready for the tasting. The Three Brothers Arms is not only the oldest pub in the Adelaide Hills but is one of less than a handfull that still operates under its original license making it THE pub to come and visit while travelling the beautiful Adelaide Hills.